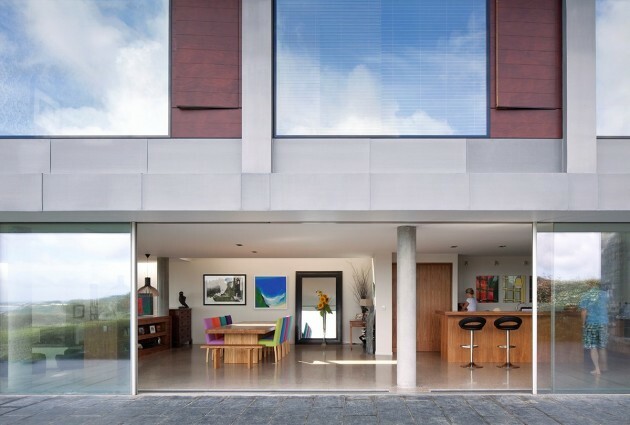 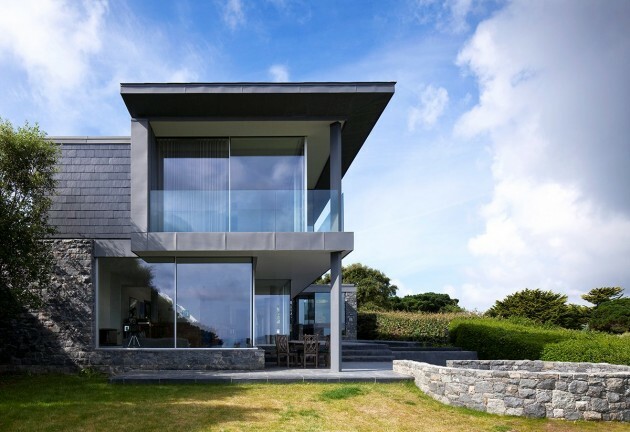 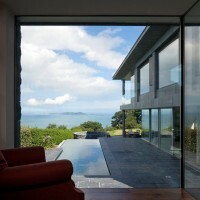 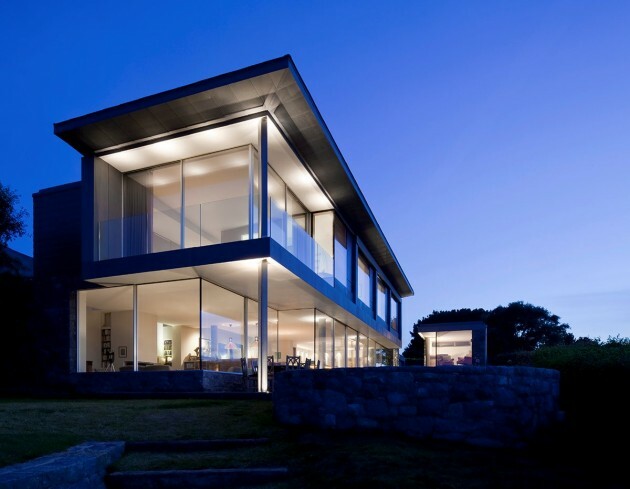 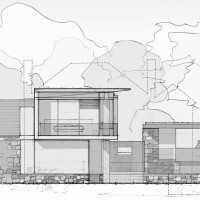 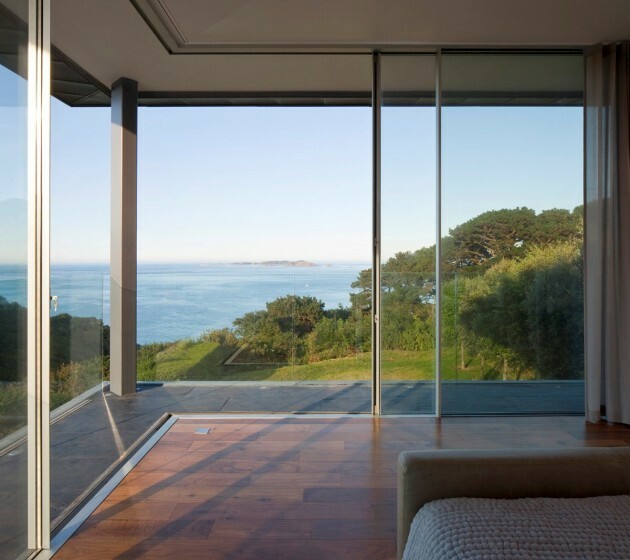 Jamie Falla Architecture have recently completed Couin de Vacque, a family home located in Guernsey. 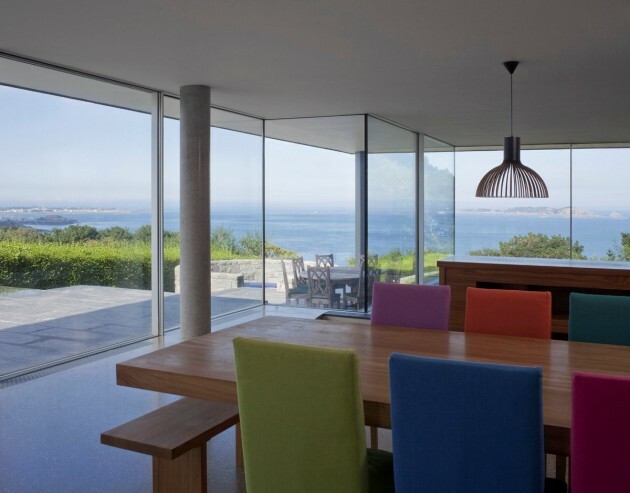 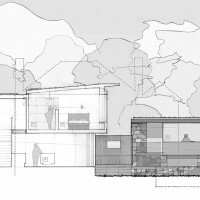 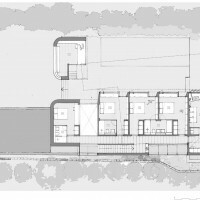 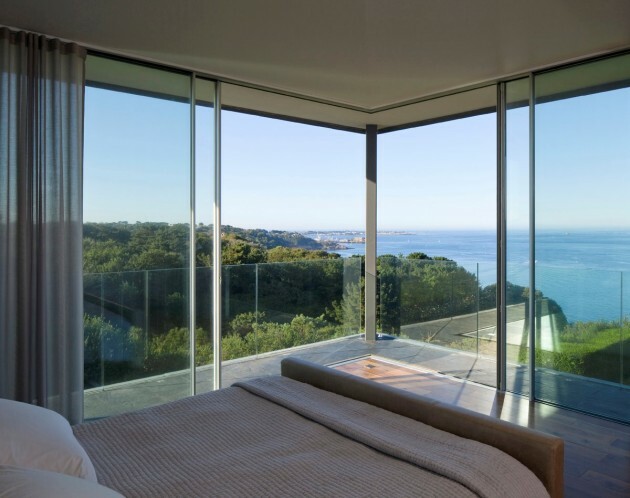 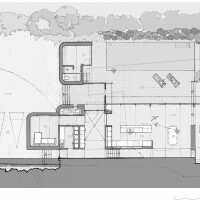 Replacing a dilapidated 1950’s 2 storey villa, Couin de Vacque is the reinterpretation of the local vernacular longhouse, providing sustainable low energy and low maintenance 5-bedroom family home, which nestles into its sloping site at the top of the escarpment on the south coast cliffs. 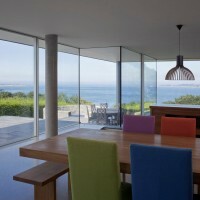 The home runs along the south boundary which enables it to open out to the view to the north-east. 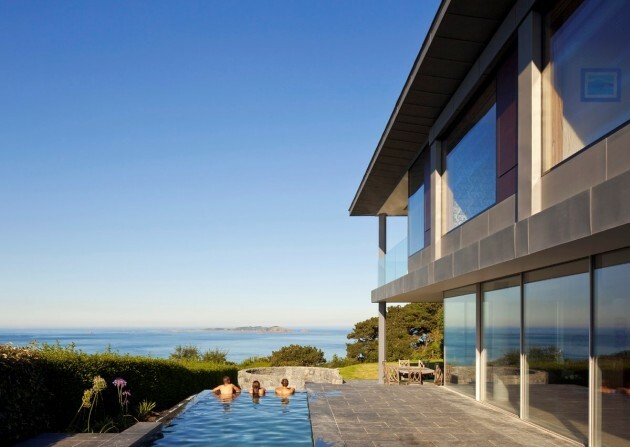 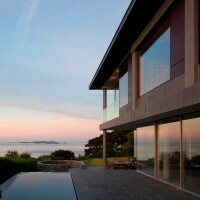 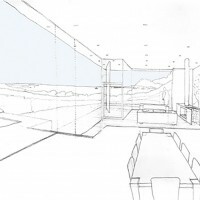 A large expanse of structurally glazed doors connect the living spaces to a large courtyard and infinity pool; capturing the evening sun from the west. 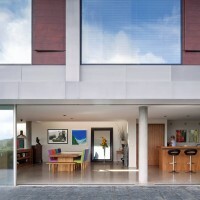 The courtyard also connects to a detached study block which forms a screen and gate-house to the wind swept site. 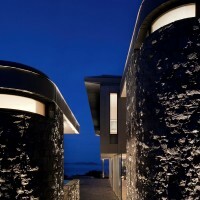 Five bedrooms and ensuites are located on the first floor. 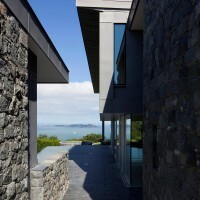 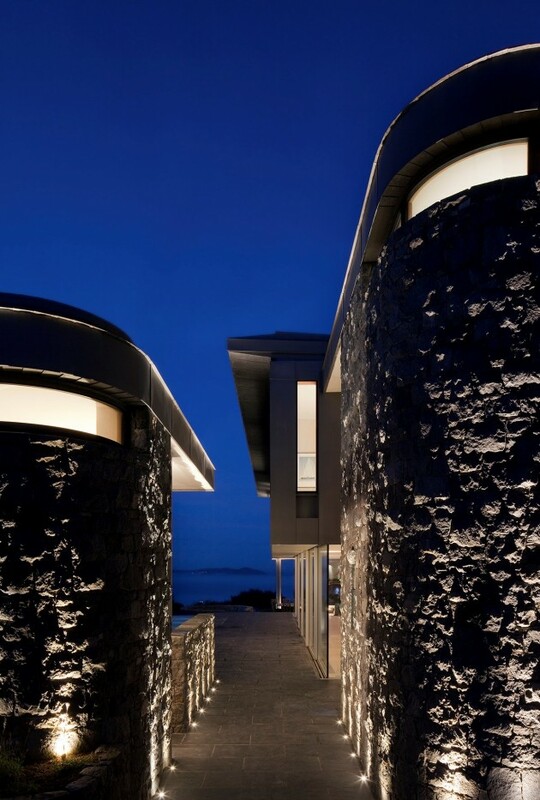 The design and orientation of the building maximises views of the stunning landscape from all principle rooms.The palette of top lit spaces, concrete floors, recycled local granite, hand crafted zinc, slate, glass and a green roof, enables the property to blend within its setting, be low maintenance and mediate between water, earth and sky. 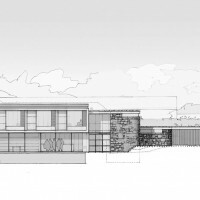 The site is highly sensitive, located adjacent to a National Trust field, popular with local walkers. 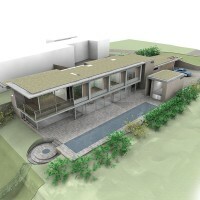 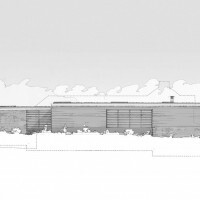 This resulted in a protracted period of pre-planning consultation with interested parties and the planning department. 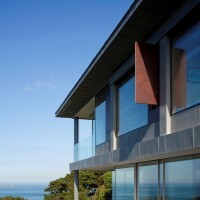 Although much criticised at the time, the finished building has won plaudits from many of its initial critics. 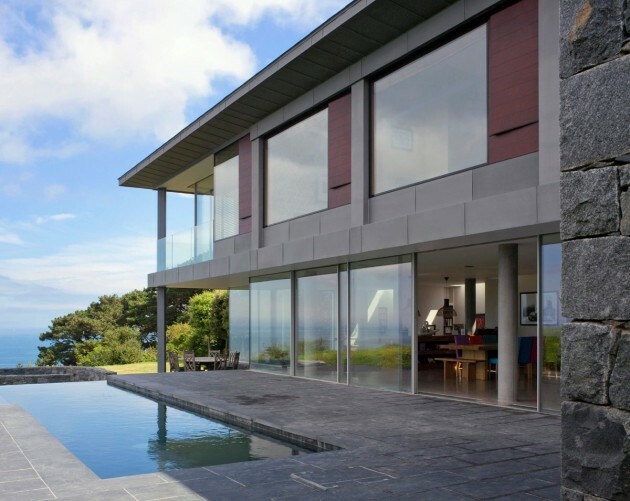 It is a building, which sits peacefully; beautifully sculptured from local materials by local craftsman and is far less prominent than its predecessor. 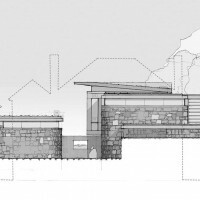 We hope one day it will form part of Guernsey’s future heritage.